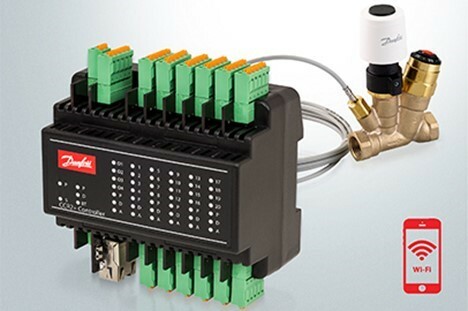 The CCR2+ is not only designed for remote monitoring and control. In combination with MTCV-C disinfection modules and TWA thermal actuators, the DHW system becomes a fully automated temperature control system with optimized disinfection process. 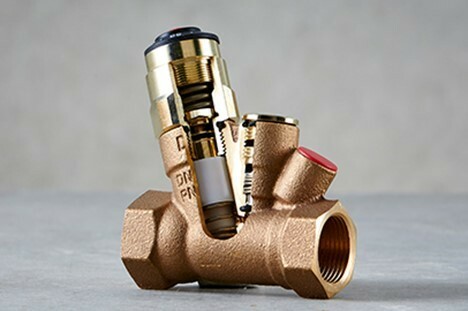 The system can periodically be disinfected by flushing it with an extra high water temperature of up to 78°C according to a pre-defined time schedule. This is to kill any legionella bacteria's that might be in the system. This provides a highly energy efficient use of the DHW system as the temperature set on the MTCV can be lowered for regular operation hours without loss of safety aspects.